It can be really tough living with a brother or sister who has autism. Sometimes you might feel like you're going crazy! Join Spike, pictured on the front cover, as he looks at autism and some of the ways in which kids with autism behave. 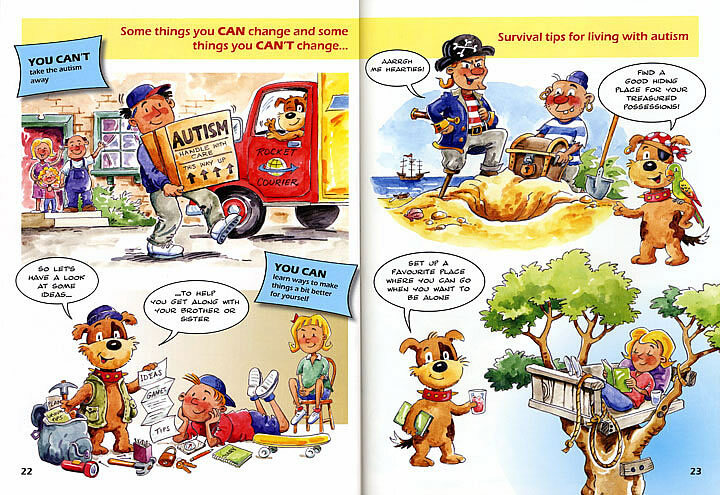 Check out Spike's survival tips. Maybe you can use some of Spike's tips to get along with the person in your life who has autism - and make your own life a little easier at the same time. Authors Athanasia Koutsis and Gerda De Clercq combine over twenty-five years of experience working with children who have autism. 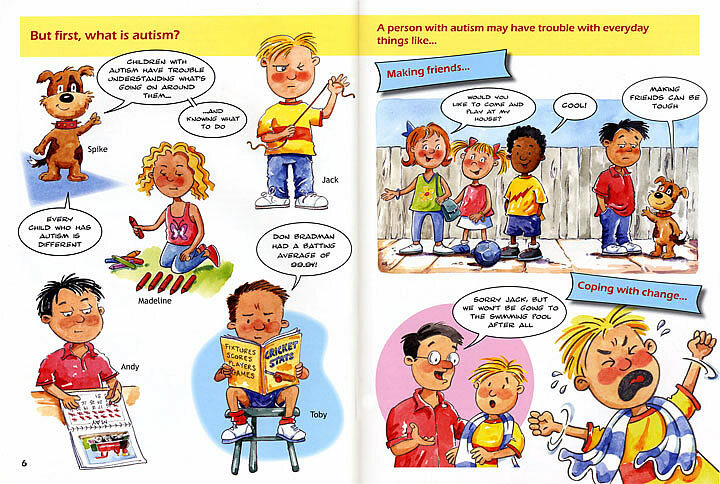 Using simple language and everyday examples, the authors discuss autism and ways in which children with autism can affect the lives of those around them, especially brothers and sisters. The book provides many ideas for making life a little easier. The text has been illustrated by Richard Galbraith. The animated style and cartoon format make this a fun and informative book for primary age children to read. 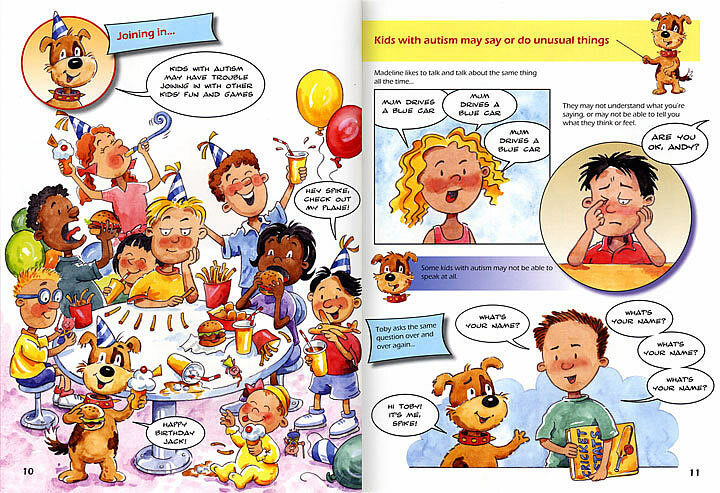 'What About Me' was first published in 2006 by Wantirna Heights School, a school dedicated to educating primary school children with Autism Spectrum Disorder. ...and lots more pages just like these.